In a previous post we went over the importance of wearing sunscreen while participating in a number of classic warm weather sports. Now though, we’d like to take an additional step and address the rising popularity of extreme sports. In order to limit the elevated risks associated with these sports, many hours of outdoor practice are required. Even more so than other, more traditional athletics. What that means to us, of course, is more time by players spent outside in the sun, subjected to permanent skin damage caused by its harmful UV rays. Mountain climbing, mountain biking, skateboarding, parkour, motocross, surfing, skydiving skiing, snowboarding, rock climbing, paragliding, parasailing and waterskiing are just a few of the extreme sports that more and more people are taking up. You’ll note that all seasons are covered in this group, just as sun exposure is a risk in all seasons. Participation in these and other, similar sports requires great concentration. 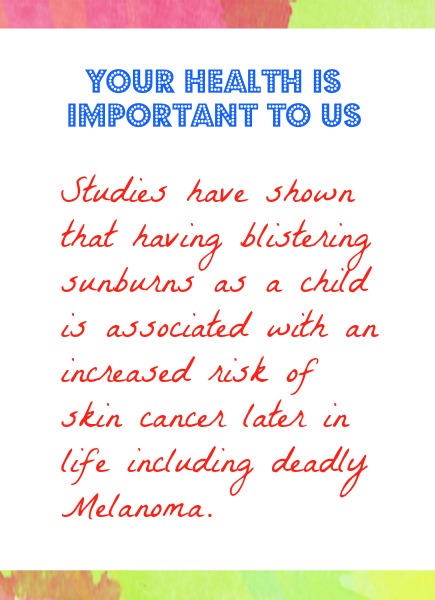 Which means it’s unlikely that you’ll spend a lot of time wondering when sunscreen re-applications are needed. But they are needed, of course, in order to keep yourself protected. The good news is that Sundicators are now available to keep an eye on that for you. Sundicators are UV monitoring wristbands that change colors when your sunscreen’s effectiveness wears off. They’re waterproof, durable, unisex and can be worn by all ages. And at about the size and weight of a thin bookmark, they’re also very lightweight. Whatever your sport may be, extreme or otherwise, they won’t interfere. When it concerns the safety of your skin, whether your extreme sport takes place on the ground, in the air or on the water, Sundicators will be right there to give you peace of mind. To learn more about Sundicators, or to purchase them, please click the link below. Sundicators: The Best Skin-surance Under the Sun! Kerry Spindler is a Melanoma survivor and celebrity fashion and beauty expert. She uses her experience in the fashion and beauty world to bring greater awareness to skin cancer and Melanoma. About Sundicators : Sundicators are Patented, unisex #sunscreen reminder #wristbands that remind the wearer when it’s time to re-apply sunscreen before sun damage can cause irreversible and sometimes fatal damage to the skin. Sundicators color-changing wristbands are an easy-to-use UV warning system. Sundicators was created in 2012 by Pretty Pale, Inc.